Moscow, December 19, Interfax - The Antioch Orthodox Church official speaks to criticize the UN and UNESCO. “Today not only our churches are attacked in Syria – the whole old Roman cities are eliminated and even mosques. Who has destroyed the Umayyad Mosque in Aleppo, which is the heritage of the whole world culture? 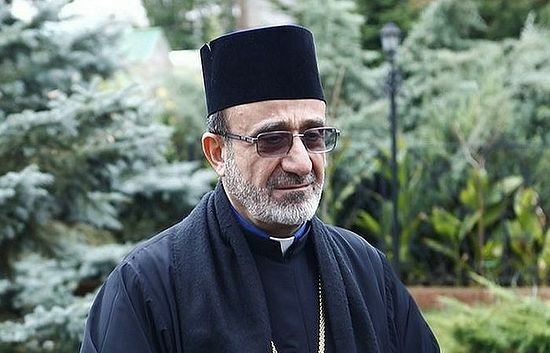 Islamists-radicals did it,” the vicar of Patriarch John X bishop Qais of Erzerum said in his interview to the website of the Information and Education Department of the Moscow Patriarchate’s Ukrainian Orthodox Church. “Why does not the United Nations raise its voice to condemn these people as criminals. Even the UNESCO keeps silence about destruction of cultural sites,” he stressed. Another incident took place in the renowned Monastery of the Nativity of the Holy Virgin. There exists a custom to make a candle in a person’s height. Once a man brought such a candle and asked a nun to light it. He gave this candle to her, went down the stairs and suffered a heart attack. “Nuns tried to light this candle several times, but failed. Suddenly they heard that someone cried that the man needed help. They came up to him, he turned out to be a Muslim. He talked to the nuns and said: “Be careful, there is dynamite in my candle” and died right on the stair near the entry to the nunnery,” the hierarch said.